The 23 year-old man was released on bail. Takeaway businesses in Lurgan and Ballynahinch are facing potential penalties totalling £60,000 after immigration offenders were found working at the premises. 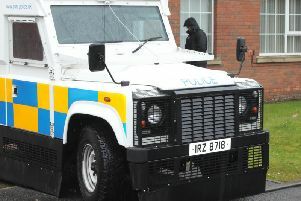 In an intelligence led operation, Immigration Enforcement officers visited Punjabi Kebabish at Church Place, Lurgan and Peking Garden, Lisburn Street, Ballynahinch on Saturday, 23 September. The businesses were each served a referral notice in relation to the illegal workers. The notices warn that a financial penalty of up to £20,000 per illegal worker arrested will be imposed unless the employers can demonstrate that appropriate right-to-work document checks were carried out, such as seeing a passport or Home Office document confirming permission to work. If proof is not provided, this is a potential total of up to £40,000 for Punjabi Kebabish and £20,000 for Peking Garden. A 21-year-old woman and 25-year-old man, both from Pakistan, were arrested at Punjabi Kebabish after it was found they had entered the country illegally. A 37-year-old Chinese man who is a failed asylum seeker with no permission to work was found working illegally at Peking Garden. He was removed from the premises and must now report regularly to Immigration Enforcement while his case is progressed.